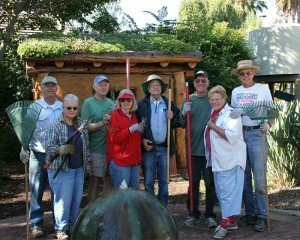 The Water Conservation Garden’s Volunteer Program is designed to gather like-minded people of all ages, offering many different opportunities to express their love of gardening. Whether it is digging in the dirt, working an event, leading a tour, meeting and greeting Garden guests or a myriad of other opportunities, we have a place for you here at The Garden! For more information about becoming a volunteer/docent, please contact Pam Meisner, Education Director, at pam@thegarden.org or 619-660-0614 x13. Receive 15% (Docents) and 10% (Volunteers) discount in The Garden Gift Shop. Attend optional field trips, workshops and lectures. Attend annual Volunteer Appreciation dinner. Receive discount on rental of The Garden for an event (Docents only). 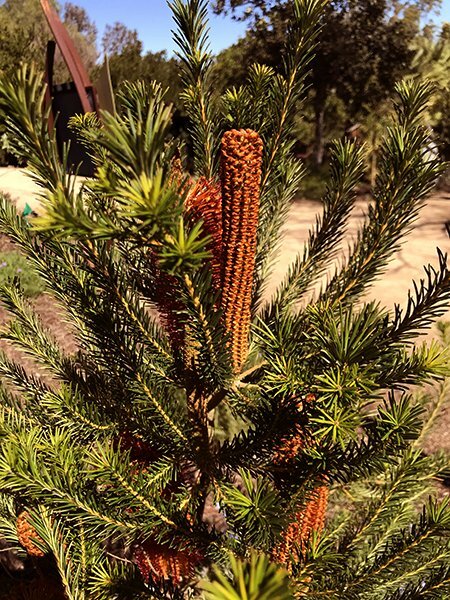 Make a worthwhile contribution to The Garden and community! Meet people who share an interest in gardening and horticulture. Volunteers work alongside our Docents and staff on teams or as part of committees. Volunteer commitment level can range from simple clerical assistance to serving on our Board of Directors. Docents represent a dedicated and knowledgeable group who have attained a higher level of training in The Garden’s programs. Docents attend a two-day Orientation Training and fulfill exclusive Docent Trainee requirements. Docent/volunteer training classes of two 4-hour sessions are typically offered in January, April, July and October. To find dates for the next training, click HERE to go to the classes and events calendar. 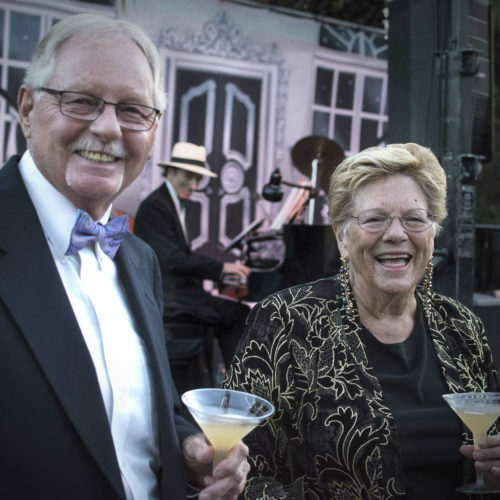 2 more steps to become a DOCENT! Volunteer Since: Kay since 2002, and Vince since 2007. Between them they have volunteered over 6,000 hours in The Garden. 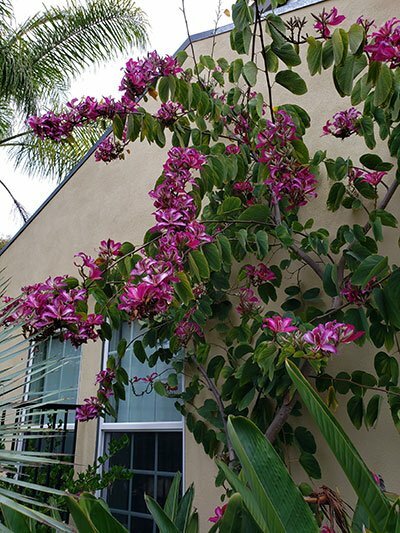 Favorite Plant in the Garden: Kay loves the Hong Kong Orchid Tree next to the facilities building (“barn”) and Vince is fond of the Banksia located near the Bird & Butterfly Garden under the Chinese Pistache trees at the top of the steps to the upper trail. Fun Facts About: They volunteered to completely re-design and carry out the design implementation in two separate main exhibit areas: The Retrofit-Backyard Makeover and The Meadow. 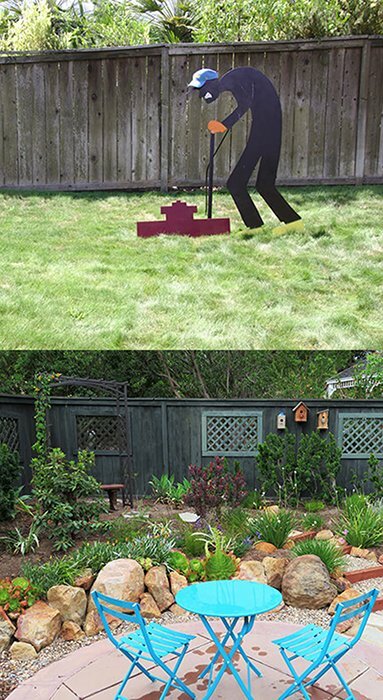 Additionally, Vince has built hundreds of birdhouses to donate for Garden fundraising. Favorite Garden Exhibit: For Kay it’s the Erosion Control exhibit, although she admits to having several favorites; for Vince it’s the Retrofit-Backyard Makeover Exhibit–and why not? Why Do You Volunteer at The Garden: Vince & Kay are dedicated to the idea of sharing knowledge and skills so that we all can work together to make our community a place of beauty while responsibly practicing water conservation.